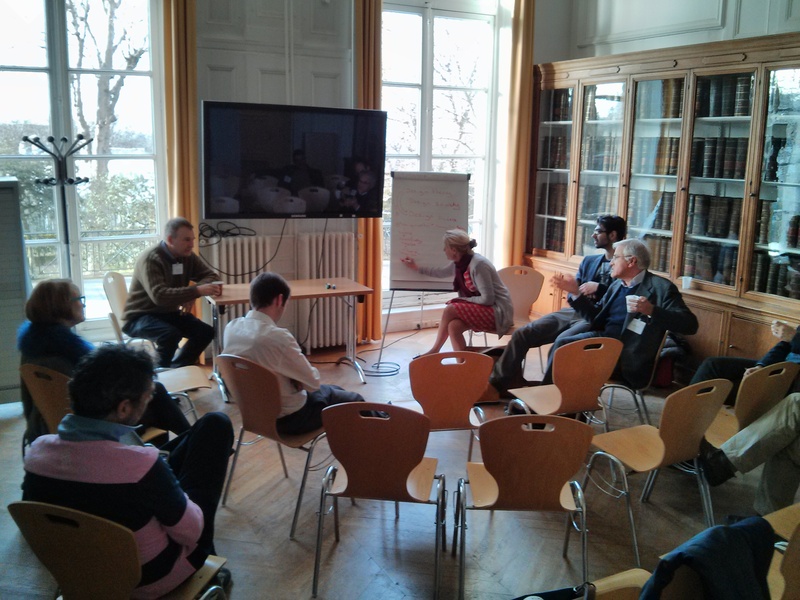 7th DT SIG meeting was held at Mines de Paris on 27th-28th January 2014. 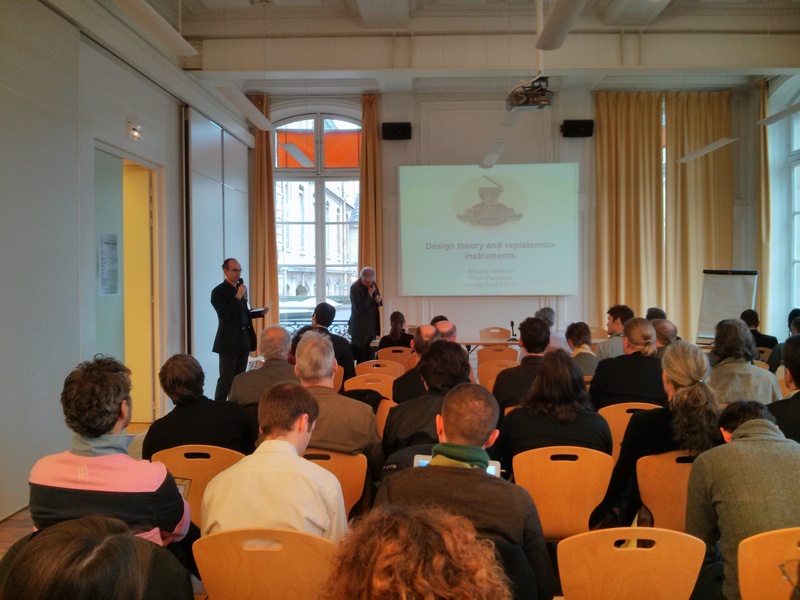 The goal of this workshop was to present and discuss new approaches in Design Theory – an established area of research in the field of Design. More on the objectives of this research community here. Also here is a selection of the presentations and activities that took place during this event. Comme le colloque a été en anglais voici aussi les notes en anglais. Design theory and epistemic instruments by A. Hatchuel: normally design is about things, but in the C-K theory one finds not things but concepts. In order to take this knowledge and concepts into consideration, Hatchuel states that an artifact should be designed to act as a knowledge organizer, generator, provoker, transformer. Therefore an artifact is the objet (O) + the invisible knowledge connected to it (K(O)). Knowledge can be seen as an “epistemic presence” and Design theory underlines that dual nature of artifacts, they are both “material” and “knowledge”. The value of design: Design Science, Theory, in Society by John S Gero: Talking about Science in simple words > things are knowable (science), there are phenomena, that have some regularity, that one can measure, make hypothesis, models and theories. What about Design Science? There are two perspectives: one on design knowledge created as a Vitruvius performance, i.e. proscriptive knowledge that is technical knowledge about design and not about designing. Another that is on reasoning and/on process, i.e. prescriptive more ideas about notion of designing itself is an activity – it is the separation of process and not the technical system that is important. Interesting discussions with the audience: the objects are very dramatic but how is the process different vs. normal design process (of Ikea products for ex.). Who is the real audience of these objects how is the audience ? the designers ! therefore is a true design value. The object becoming a design space, but sometimes these objects are too provocative to have a real discussion with people. How do we learn how to speak about these things ? How to criticize critical design ? Maybe Design theory could bring a new quality of the critique ! And also who owns the objects, the creator, the user, etc… who owns the debate?